New Delhi, April 9 : State-run explorer Oil India Limited (OIL) Wednesday announced it has become the first Indian company to make a foreign currency bond issuance worth $1 billion in its debut US dollar bond sale programme. "Oil India has made an inaugural $1 billion dual-tranche US Dollar (USD) unsecured bond issue in the international capital markets. The Regulation S Bonds were issued in two tranches of $500 million each for 5-year and 10-year tenor," the company said in a statement here. A Regulation S transaction implies that US-based investors cannot participate in the issue. "It is the largest ever Reg S issuance by any Indian company. The Bond issue was oversubscribed by 9.2 times, which is one of the largest order book for a USD issuance out of India," the statement added. 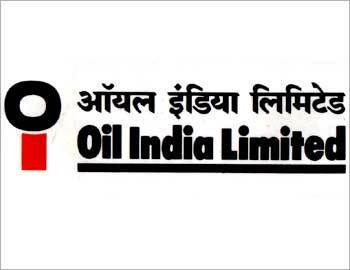 OIL said the money raised is to repay the loan it had taken to buy Videocon's 10 percent stake in Mozambique's Rovuma Area 1 oil block for $2.475 billion, in association with state-run oil and gas firm ONGC's foreign arm ONGC Videsh late last year, The 10 percent stake is split in 40:60 ratio between the two oil explorers. "The transaction was very well executed in the backdrop of the Indian elections and a volatile global environment. We are pleased with the strong interest shown by top investors in OIL's debut bond issue," said S. K. Srivastava, OIL chairman.